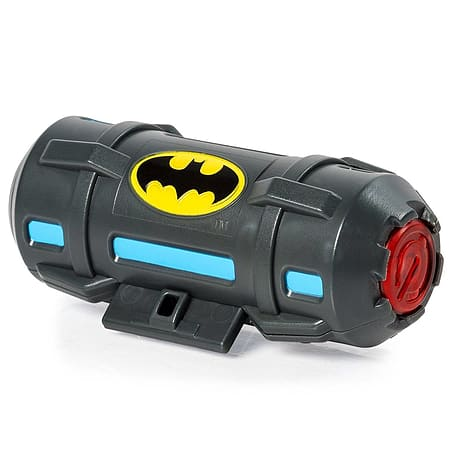 Lure Gothams thugs into a trap with the Batman Sonic Distractor! Batmans Distractor has four sounds to select that will distract your enemies so you can get the upper hand or make a quick escape. Simply toss the Distractor in a direction opposite you and draw your enemies away from your position. Choose from 2 Bat sounds: breaking glass or a menacing alarm. The Distractors resilient internal speaker design keeps it protected when you slide it across the floor. The Sonic Distractor clips onto the Batman Utility Belt (sold separately) so you'll always have it when you need it. 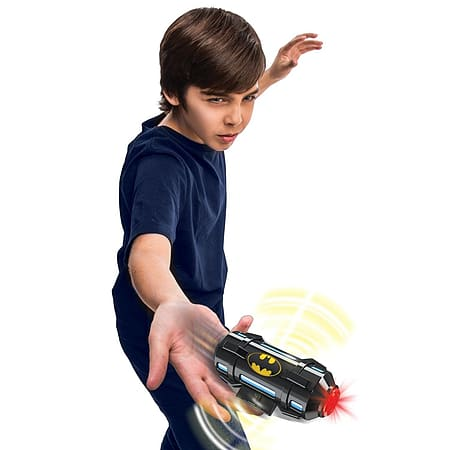 Defeat the thugs of Gotham and gear up with the Batman Sonic Distractor from Spy Gear! Requires 3 x LR 44 batteries (Included).